While the ability to queue messages while offline in WhatsApp seems like a basic feature that should have been there from the start, this was not the case. Luckily, the latest update makes it possible to queue messages while offline in WhatsApp. Apparently, the feature doesn’t work perfectly as it may switch the order of the queued messages when your iOS device regains connectivity and they’re sent to the recipient. Until the latest update, trying to send a message on WhatsApp for iOS while offline simply didn’t work. Now, you can send up to 30 photos and videos at the same time which is nice even if the feature is still a bit rough around the edges. Furthermore, the update brings another useful feature that allows you to get an overview of the space used by the app broken down for each conversation. 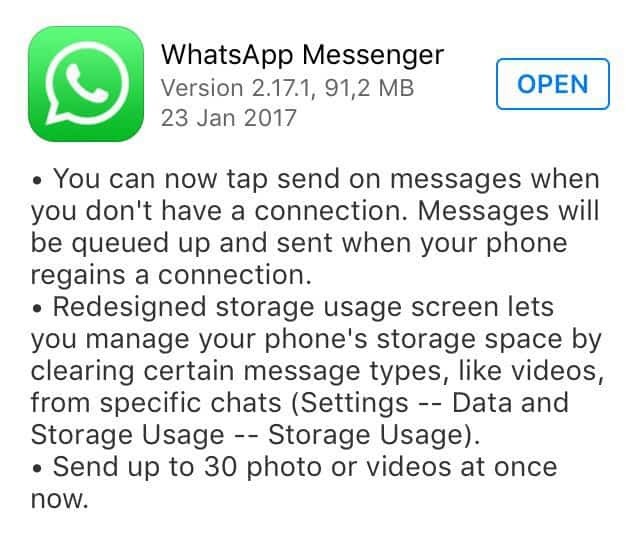 You can view this information from WhatsApp’s Settings by going to Storage Usage. There you can see how much storage space is occupied by each chat thread. You can also delete specific media file types to get back some storage space, as well as choose to download new media files only via Wi-Fi, or when connected to either Wi-Fi or cellular. If these options are lacking from your WhatsApp, you can get the latest update from the App Store. 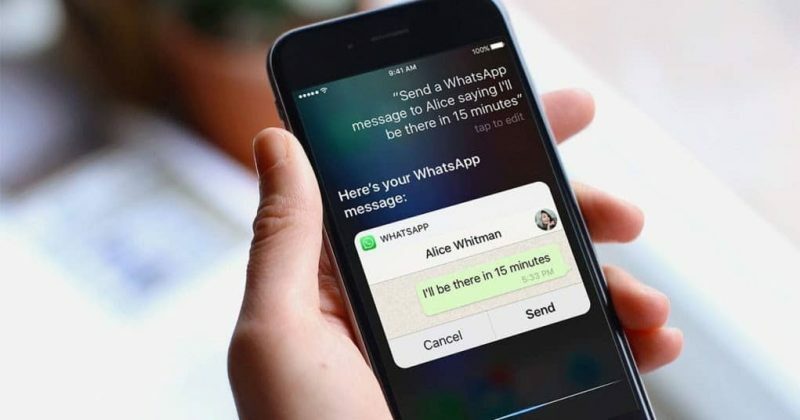 Have you tried to queue messages while offline in WhatsApp and did the feature work properly for you?